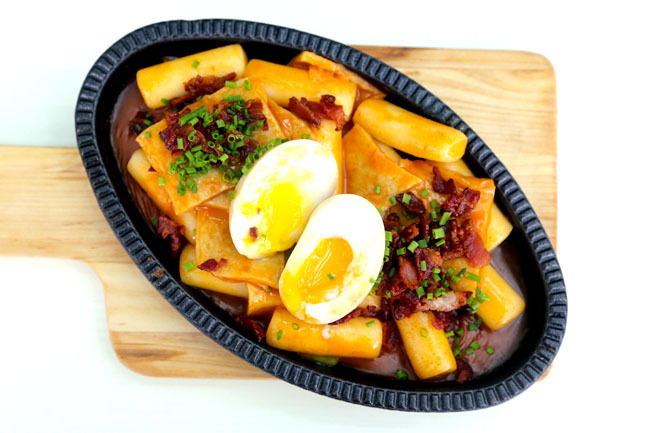 Haru Haru (day by day), we are seeing more Korean cafes in Singapore, after the Korean Pop, Korean BBQ, and Korean Fried Chicken wave have hit us. 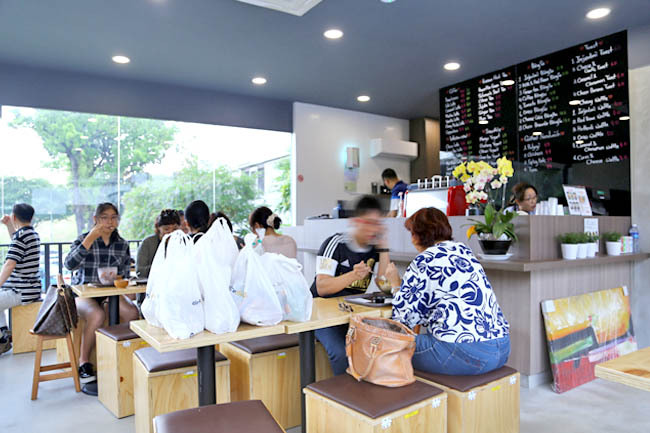 What defines a Korean café, at least in Singapore context? They all almost sell Korean desserts like Bingsu shaved iced, toasts (usually injeolmi rice cake), Korean inspired snacks and Korean style coffee and beverages of green tea and sweet potato latte. 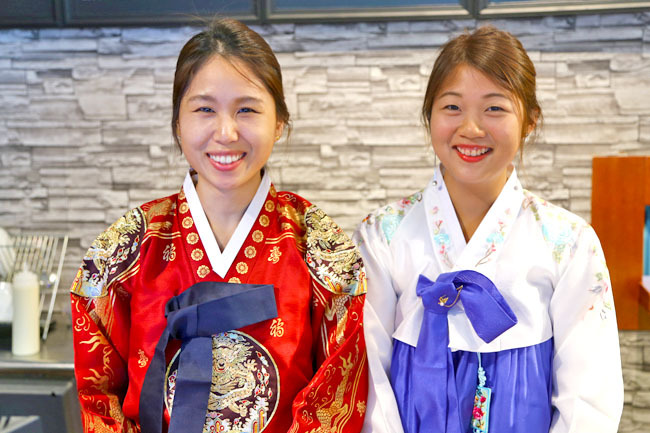 For this list, we were looking at the whole package – ambience, service, ‘Korean-ness’, other than food. All are owned or co-owned by Koreans. We know that Paris Baguette is visibly missing, but our hearts went out to the smaller players. 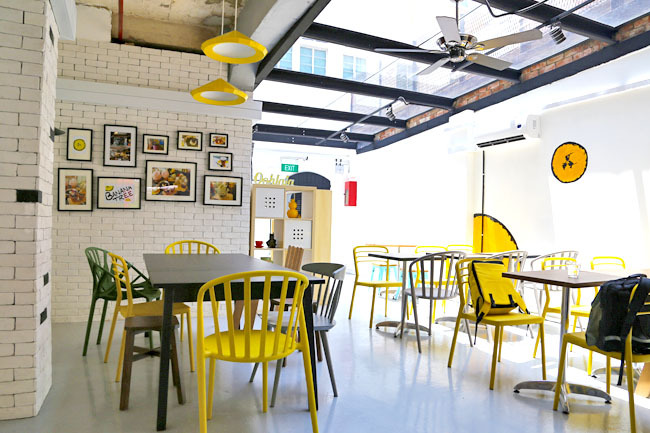 Banana Tree is the perfect Instagram venue with its natural light casing down with the open top ceiling, banana fruit paintings on the wall, cute decorations and pretty (fake) flower decorated food. Strike a pose. 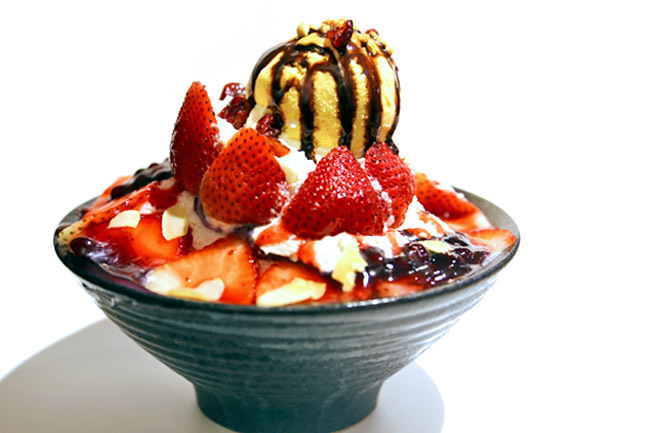 Nunsongyee is already known for its heart-melting bingsu. 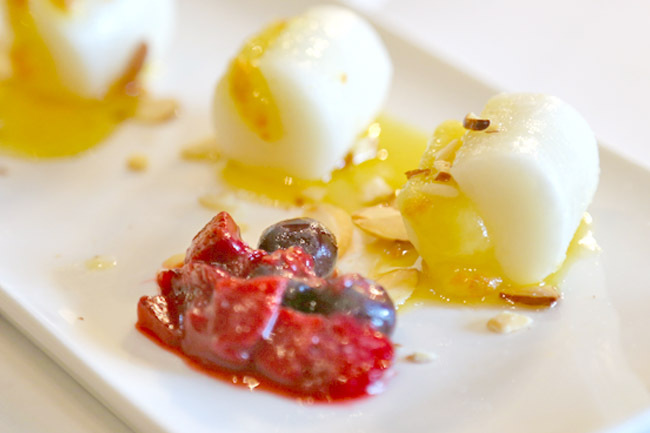 We decide to feature something else – the Sweet “Ka-Rei” ($8.90) Korean Rice Cake with Cheese which came beautifully plated with drizzled maple syrup. 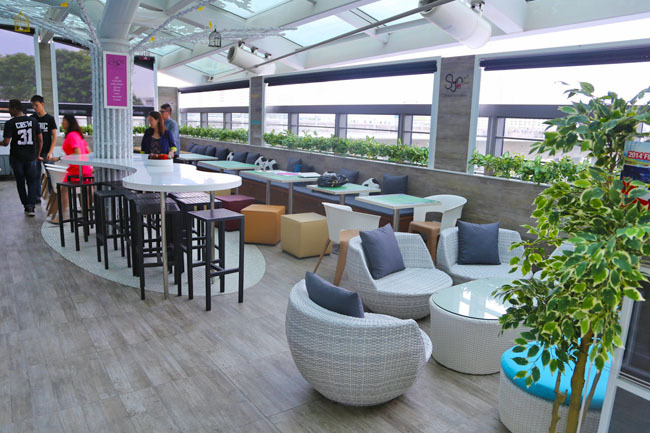 The Korean technological geek may find home at Sync Korean Fusion Bistro, which is opened in collaboration with Samsung. Thus you would find many Samsung gadgets around. 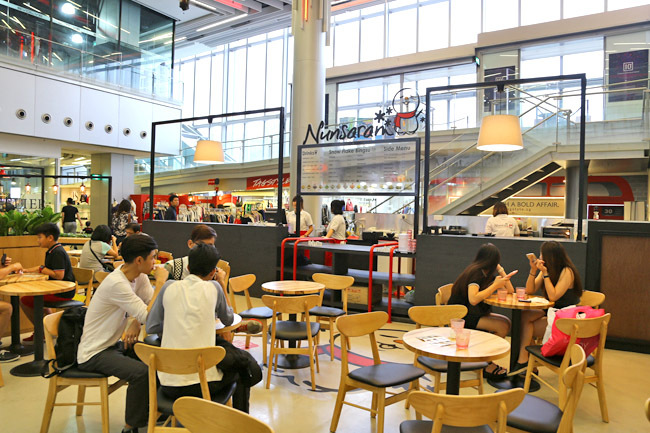 Tom N Toms must be one of Korean’s largest café chains that can found internationally. 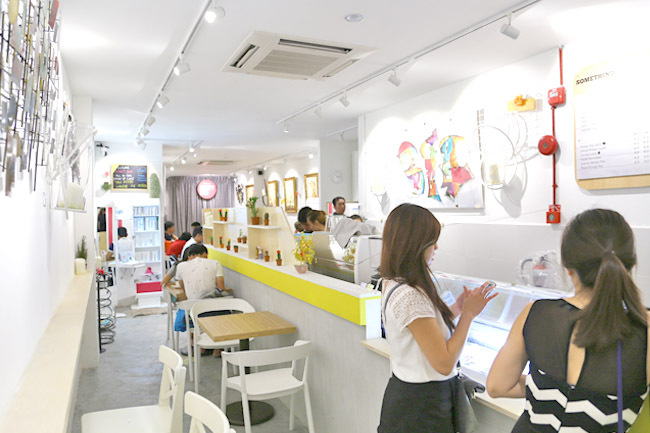 It is also one of the earliest Korean café to set food in Singapore. 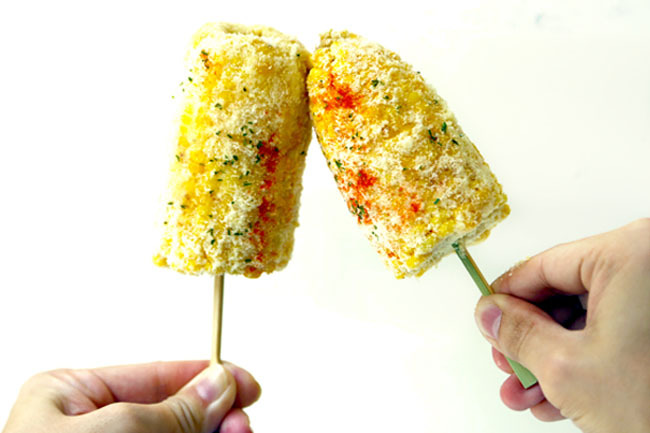 Remember the ones at Far East Plaza and Vivocity? Unfortunately, the Korean fever was not waving that hard then. 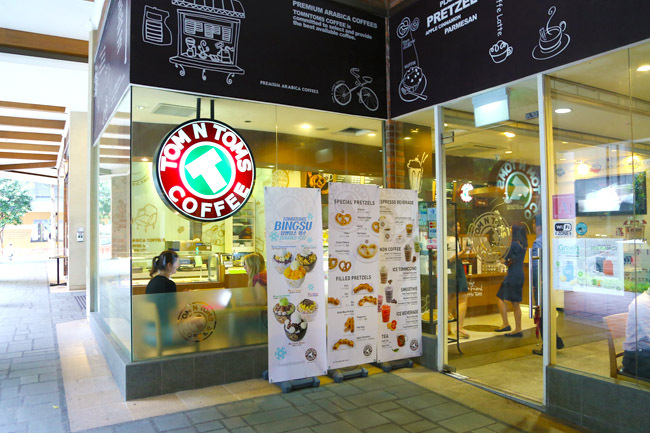 Munch on toast, pretzels, pastries and bingsu – with flavours of Green Tea and Red Bean ($11.90), Mango ($10.90), Taro ($9.90), Yogurt Cheesecake ($12.90) and Milk Tea ($10.90). A favourite venue for CBD executive and groups of students for discussions and book-mugging. Free WIFI and quiet sitting area. 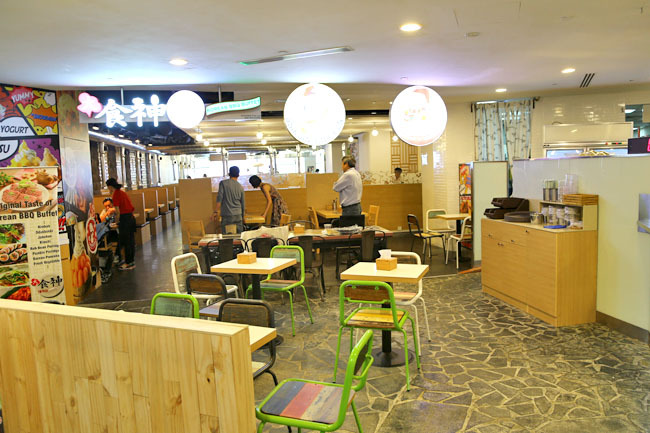 This is the café concept of Ju Shin Jung Korean Charcoal BBQ restaurant. 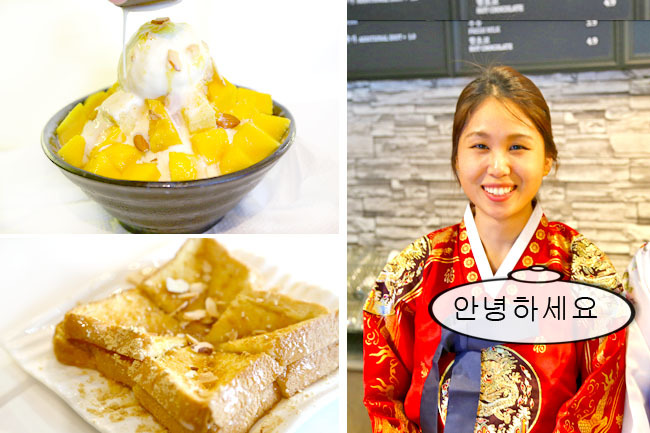 The bingsu varieties sold here include the popular Milk & Red Bean ($11), Injeolmi ($11), Green Tea ($11) Coffee ($11) and an intriguing Tomato ($11), along with toast, grilled sandwiches and chewy waffles. A lot of Korean tai-tais come here to chit-chat, should be good lah. 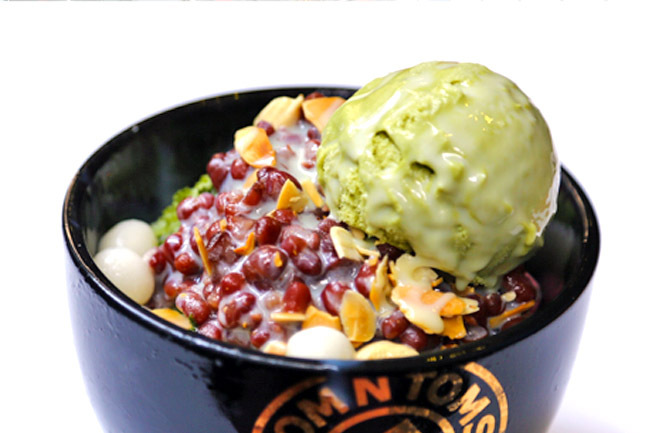 Bingsu are priced between $12.90 and $15.90, an additional $1.50 for a scoop of ice cream and $2.50 for red beans. The side menu consists of Tteogkkochi (Korean rice cakes on skewers) that comes in 3 variations: Honey ($4.50), Spicy ($4.90) and Cheese ($5.90) and Injeolmi Toast ($5.90). Bingsu was smooooth, nicccccce, BUT we think there are better ones around. Maybe still new, still improving. A Korean café started by a Singaporean and two Korean friends, combined a café concept with an art space and “Elegani” vanity table. Thus the female standee around. Scary at night though. 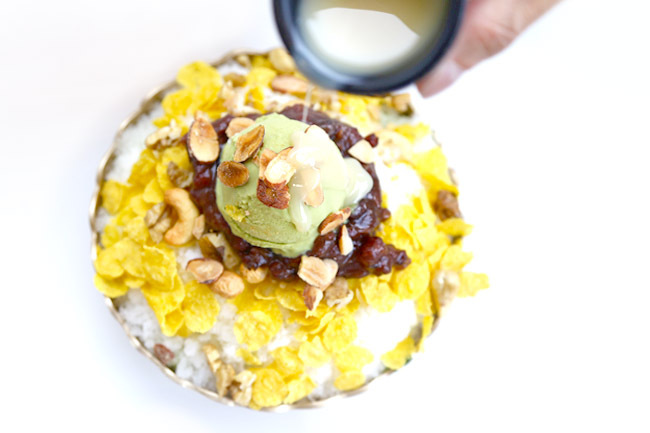 We tried the Patbingsu ($11.90) and quite liked it. 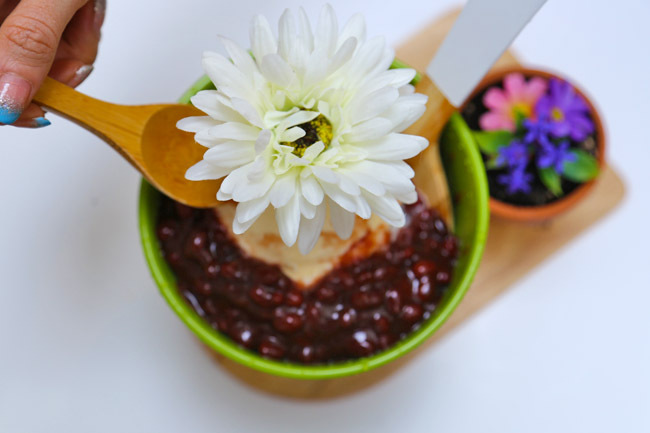 Ingredients such as the red bean ‘Korean pat’ and injeolmi are imported from Korea. 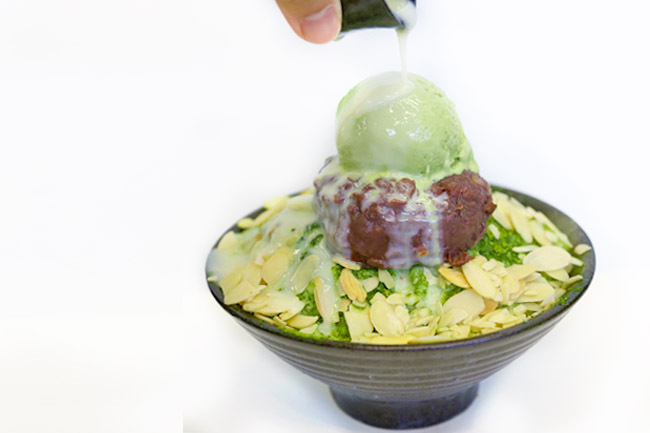 The milk shaved ice was smooth and finely-shaved, had a soft yet instantaneous melt-in-your-mouth effect. Décor was kind of dated for a new café. There was literally a big blown-up snowman greeting you at the entrance. 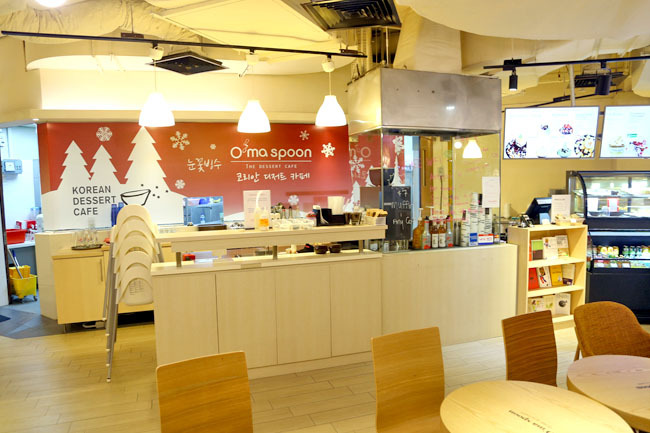 The reason why Snowman Desserts would be very much smoother than what some of the average stores were offering, was due to a specially imported milk snow bingsu machine. That apparently cost a 5-figure sum. Other than the Milk Snow Bingsu ($11.50), there are other dessert snacks available for takeaway such as Hotteok ($3 pancake with seeds), JCone ($3), Churro with Ice Cream ($3.50) and yogurt drinks. 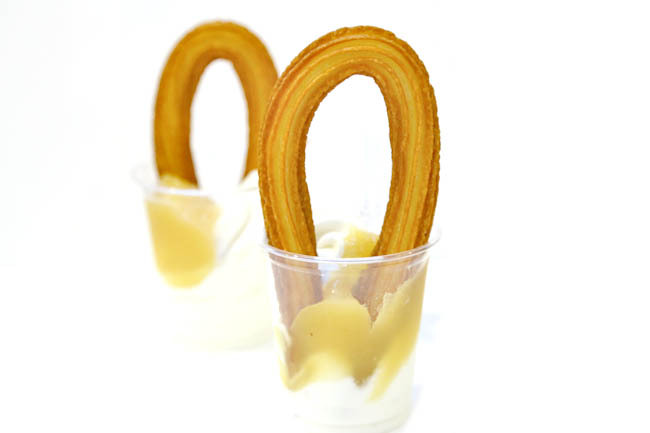 Churros are made ON THE SPOT. The main thing that we like/didn’t like: Smell of Korean BBQ next door, both tempting and off-putting. 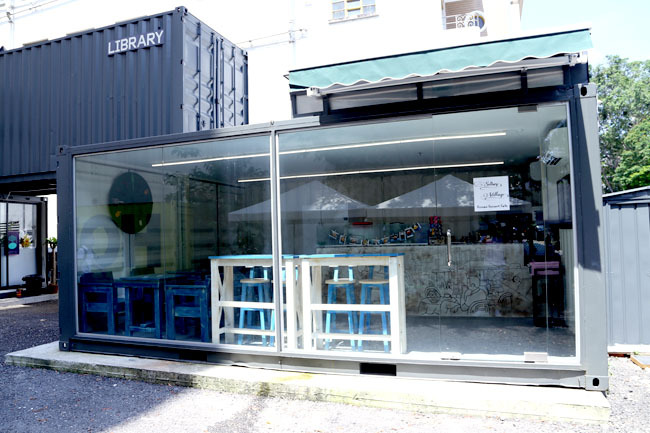 Is this Singapore’s first container café? We literally walked past Snowy Village without realising, so look out for this marine blue (or I should I say facebook blue) coloured container. The outer area where oil drums were used as tables, is perfect for OOTDs. But there is no aircon outside, so hot, bingsu (and the eater) will melt! Chocoreo Bingsu ($13.90) was smooth, but lacked flavours. 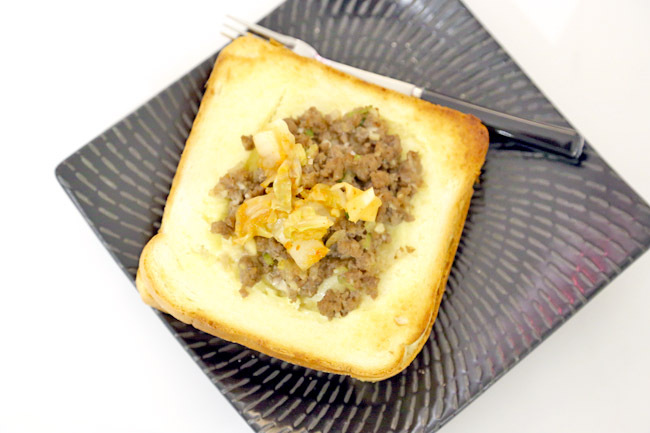 The items such as Injeolmi Toast ($5.40), Drug Corn ($5.00) and Sandwich ($5.00) tasted emmm, home-prepared. 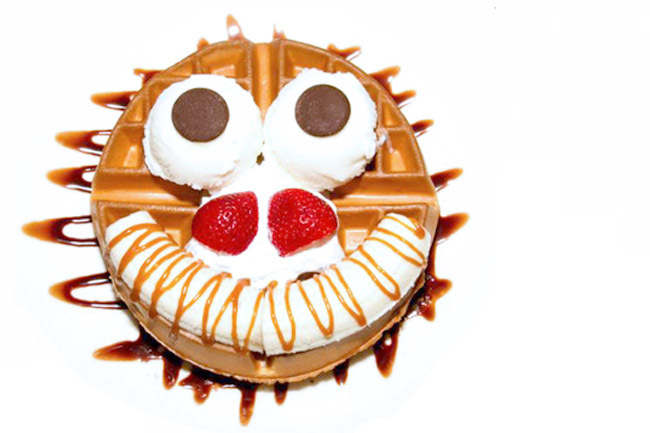 Family and child-friendly Korean café. Menu should appeal to the young as well, with Waffles ($10, $2 extra for ice cream), Caramel Bread ($8), Croque Monsieur ($7) and Sliced Cakes.